Often times you hear people use the description "small-town feel" for a city or event they enjoyed. In Northwest Hendricks County, you experience that "feel" because you are smack dab in the heart of small-town America. North Salem, Pittsboro and Lizton comprise Northwest Hendricks County with a combined population of just under 4,200 people. My family moved to Pittsboro three years ago from the north side of Indianapolis. Our main reason for the move was the quality school system. We soon realized how much we enjoy this quiet, quaint and friendly small town and you will, too. Most of the eateries and shops in Northwest Hendricks are locally owned and operated. Fourth of July is my favorite holiday, and we&apos;ve made an annual tradition of attending the Pittsboro parade and fireworks show. Other festivals/celebrations in the area never disappoint! Here is my list of favorite local establishments and festivals in Northwest Hendricks. I&apos;ll start with what I consider the best pizza in the entire county. Perillo&apos;s Pizzeria, 5 S. Broadway St,, North Salem, is owned and operated by Damiano Perillo along with his mother-in-law and brother-in-law. For a more in depth look at Perillo&apos;s history, check out a this previous post by fellow blogger, Eric Ivie. Perillo&apos;s is open for lunch and dinner. Their menu consists of appetizers, salads, subs,calzones, pizza, and pasta. Only fresh, high quality ingredients are used which is obvious from the first bite. The pizza is scrumptious and always a crowd pleaser! One of my personal favorites is the garlic rolls which are baked to perfection every time. During the summer months, outside seating is available. Their charming brick patio is the perfect way to relax and enjoy a summer evening. Don&apos;t forget to hit the ATM before your dining experience as they do not accept credit cards. For more information about Perillo&apos;s, check out their Facebook page. North Salem hosts Old Fashion Days every Labor Day weekend. This celebration includes the largest parade in Hendricks County, hundreds of vendors, food, music, 5K/10K walk/run, and lots of family-friendly activities. Another must see in Northwest Hendricks is McCloud Nature Park, 8518 N. Hughes Road, North Salem. Six and a half miles of hiking trails are available and have spectacular views especially during the fall season. Is fishing more your speed? Check out Big Walnut Creek inside the park. McCloud Nature Park offers various nature programs throughout the year for adults and children. A few programs coming up include Winter Tree ID, Animal Tracking and Bat House Building. For additional information, click here. My daughter and I visited the Nature Center this past weekend. It consists of interactive exhibits, a nature viewing room, resource library and greenhouse. 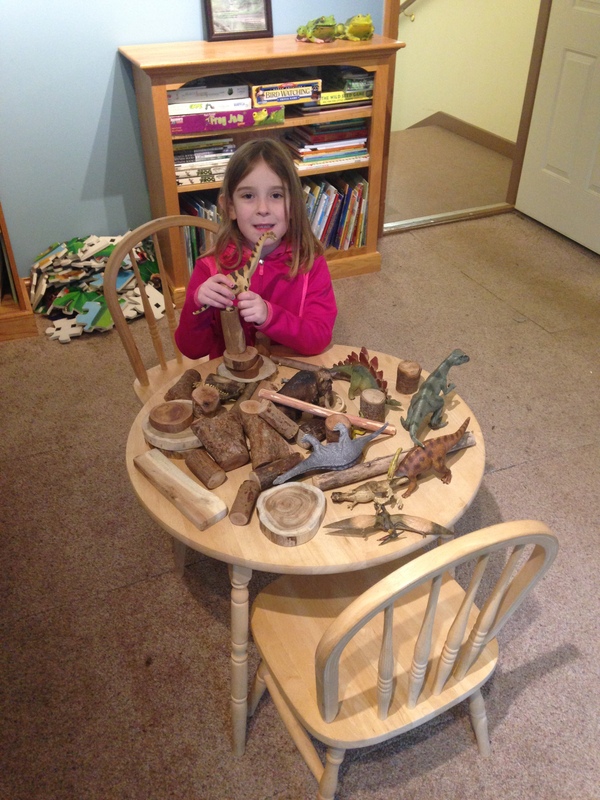 My daughter particularly enjoyed the resource library which included books, puzzles, and dinosaur figurines. McCloud Nature Park is an absolute must see during October. Gorgeous fall colors surround you! The Fall Festival and Fall Colors Run will take place Oct. 15. I participated in the run last year. It was the perfect opportunity to exercise and enjoy the foliage. The Fall Festival and Prairie Maze (which runs from Sept. 17-Oct. 31) are popular among the locals. 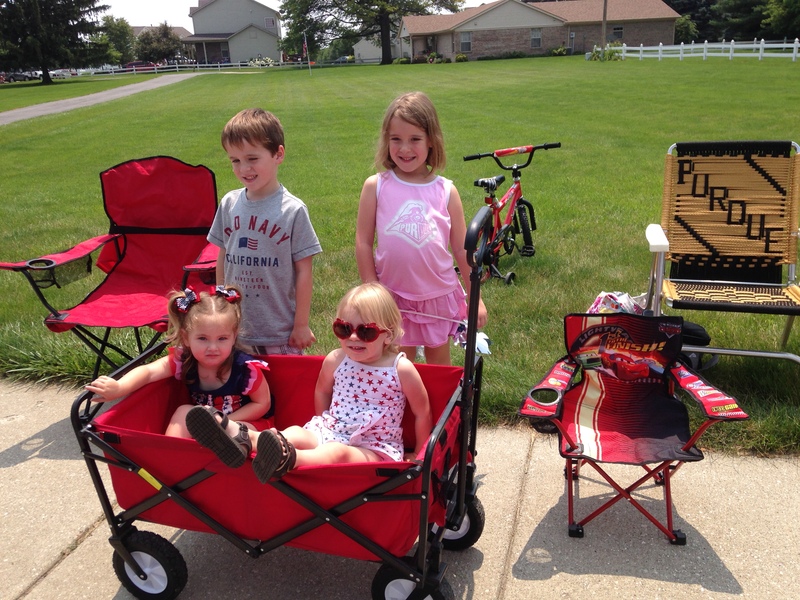 Pittsboro, the second fastest growing town in Hendricks County, has a quaint downtown area. My favorite restaurant is the Mason Inn, 1 Main St., a 21-and-over establishment. The bar area, which is now smoke-free, offers a friendly, relaxed atmosphere with TV&apos;s to watch sports. The dining room is quieter and usually less crowded. The bar menu consists of a wide variety of bottled and tap beer. I prefer local brews and am ecstatic they offer Sun King (Weemac, Osiris, Ring of Dingle), Railsplitter IPA and Fountain Square Workingman&apos;s Pilsner. As much as I enjoy hanging out at the Mason Inn, we rarely don&apos;t have the opportunity as we have small children, so we usually order carry out. My personal favorites include bruschetta, fried mushrooms, pizza and calzones. The menu also includes salads, wraps, sandwiches, and burgers. The bartenders and servers always provide personable, efficient service! 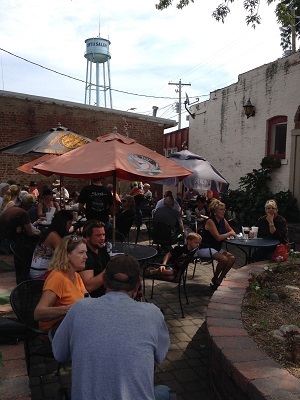 Stop by, indulge in an adult beverage, and enjoy Pittsboro&apos;s "watering hole". Attending a large city&apos;s fireworks show or festival usually involves looking awhile for a parking spot, then walking a decent distance to your observation spot and dealing with huge crowds. At Pittsboro&apos;s 4th of July celebration, those "obstacles" are minimal. Scamahorn Park, with plenty of area for watching fireworks, hosts this event. Parking is available in surrounding neighborhoods. Kids can play on the playground and live music fills the air. The atmosphere is nostalgic and relaxing. The fireworks show is impressive and the kids are mesmerized. Earlier in the day, a parade goes through downtown Pittsboro to begin the celebrations. It is certainly, a fun, family event! Lizton is home to the best (in my humble opinion) ice cream shop in Hendricks County. The Dairy Bar, 102 Main St., will certainly take you back to your childhood days. This wholesome, small town ice cream shop offers various cold treats such as milkshakes, ice cream cones, and blizzards. Do you want lunch or dinner as well? 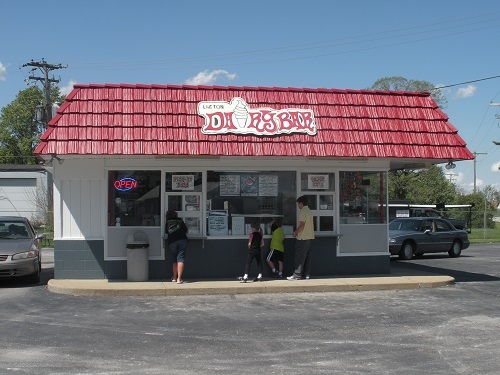 The Dairy Bar offers hot treats such as chili dogs and sloppy Joes. If this is a leisurely visit, you can order at the outdoor counter, sit at the picnic table and enjoy your treats. A drive through is available for quicker visits. The Dairy Bar is only open during the summer months. Be sure to check out this small town gem on those hot summer nights. If you are wanting to escape the hustle and bustle of city life, come visit Northwest Hendricks County for a taste of authentic small town Americana!